TWLMA is extremely pleased to learn that the Cornell Law School – Academic Center Addition has achieved LEED Platinum status. 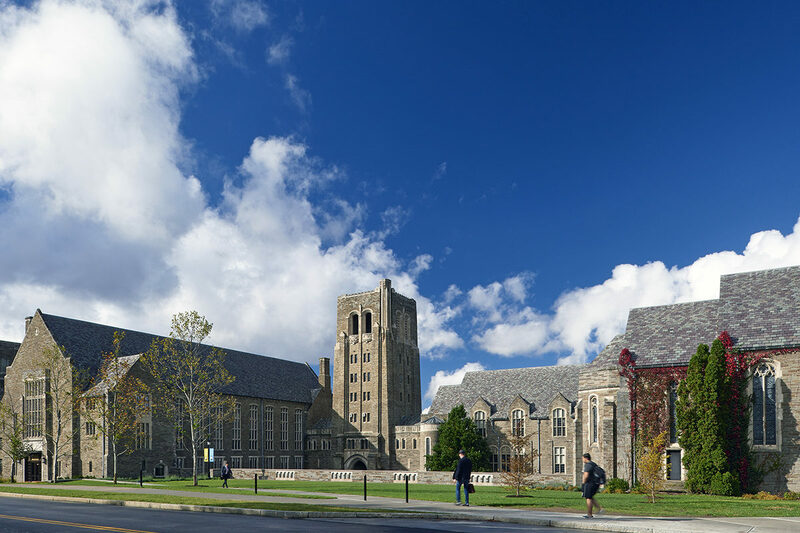 It is the second LEED Platinum-certified project at Cornell. The Law School Academic Center Addition includes a completely renovated central courtyard, a new streetscape, an underground classroom building and an auditorium, extensive library renovations, and a new entry. TWMLA’s site design for the project contributed to the LEED certification. TWMLA’s design includes a green roof over the underground building, plazas constructed of natural, local materials, a sand filter to address stormwater mitigation and landscaping that requires minimal irrigation. The project was led by Ann Beha Architects.